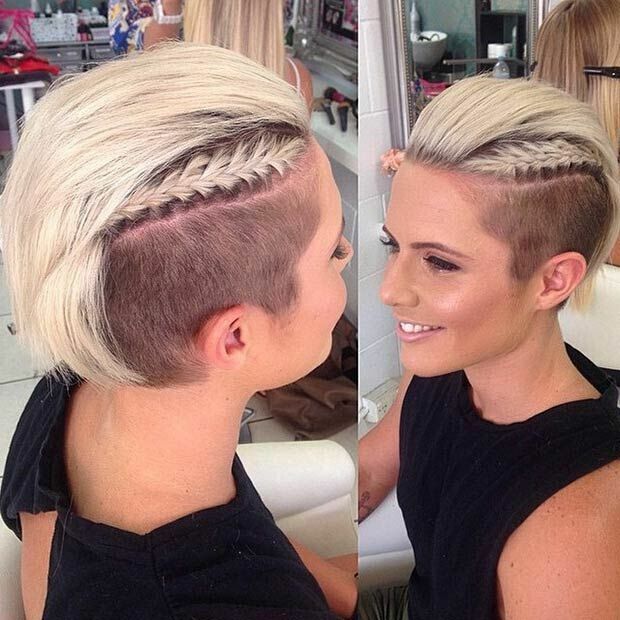 It looks very fabulous to add some braiding details into a short undercut hairstyle. The long top layers are being swept back and arranged for a clean and neat style. The pixie hairstyle shows more contemporary and modern-chic with tipped cut ends. 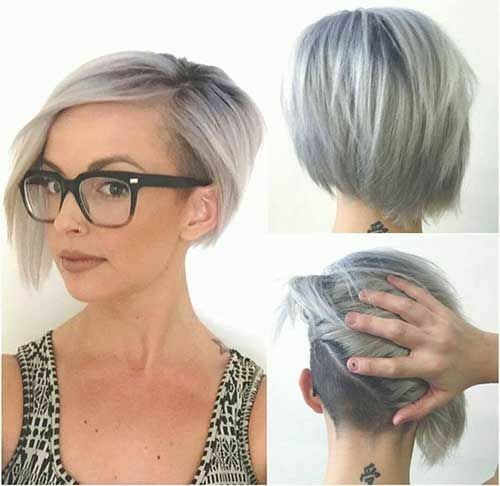 It is ideal to create a harsh, punky style on short blond hair. Soft waves and curls are being the most flattering way to give a subtle feminine sense to the cool undercut hairstyle. The long side bangs can also create a better frame for your face. We all have to admit that the undercut has been developed into an overall softened but still attractive look for girls. 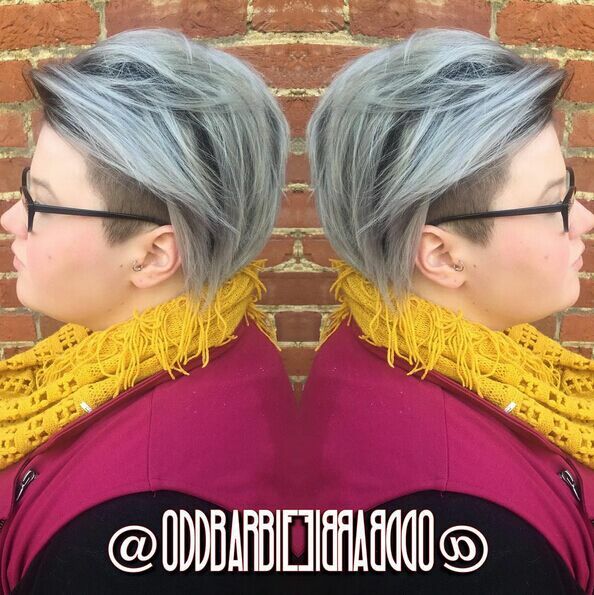 It works really fabulous on this silver grey hair. The special undercut technique can be applied on any hairstyles. This time, it helps to remove the bottom part of the hair and gives a lightweight look to a straight bob hair cut. 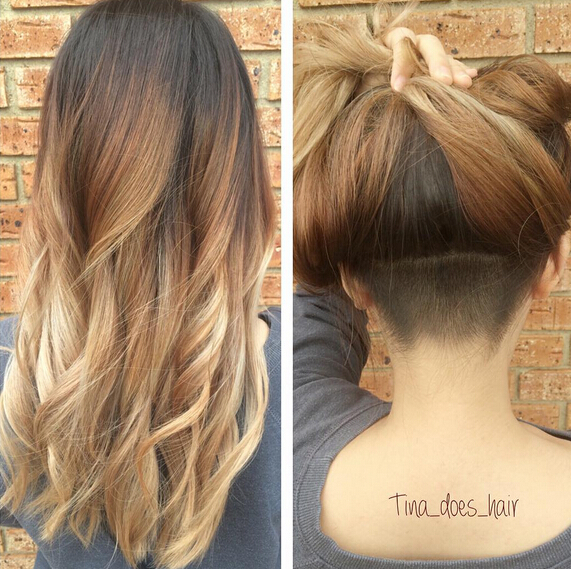 The long top layers that are styled to the back have made a big contrast with the shaved sides. This hairstyle can create an open look for your face. 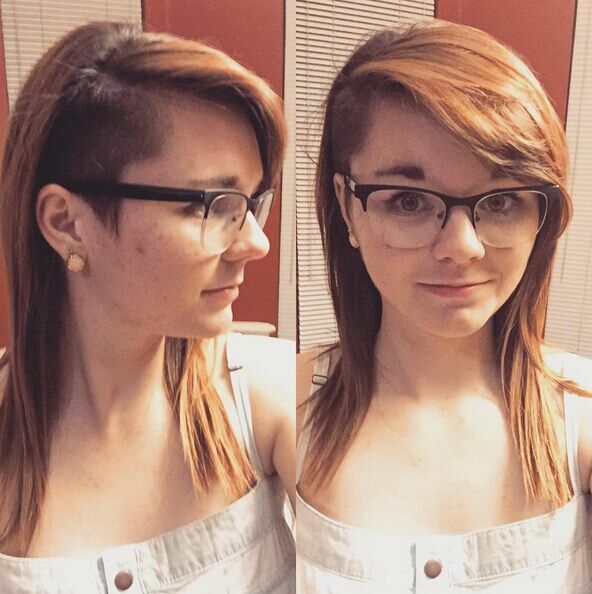 The undercut style can also work on medium wavy hair. 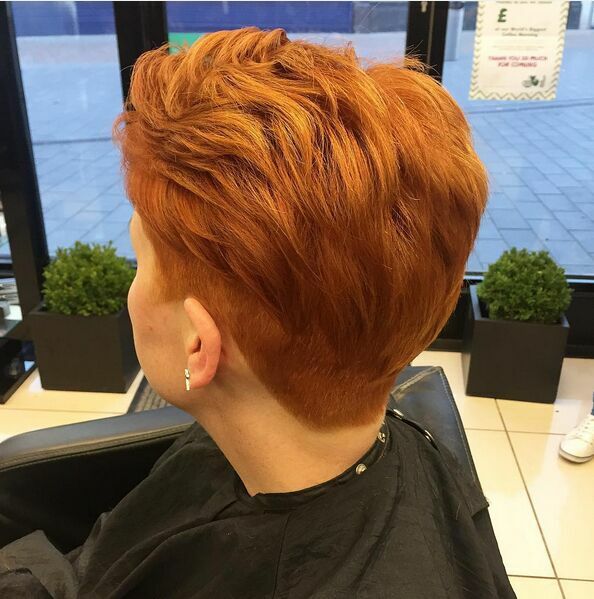 Most of the hair is being kept to one side to achieve a fabulous and trendy effect. 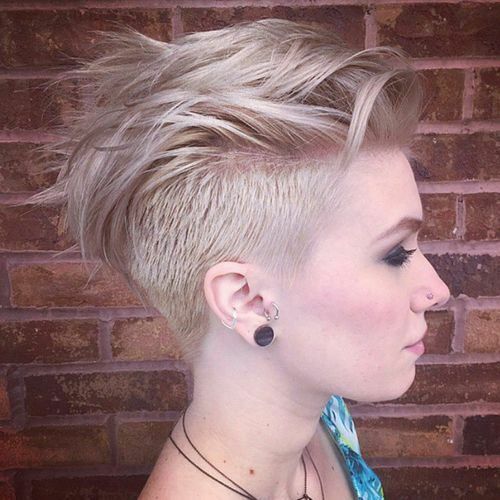 The popular undercut design has given a special definition to this blond wavy hair. It provides an opportunity to show off your smooth neck when you style all the waves to one side. 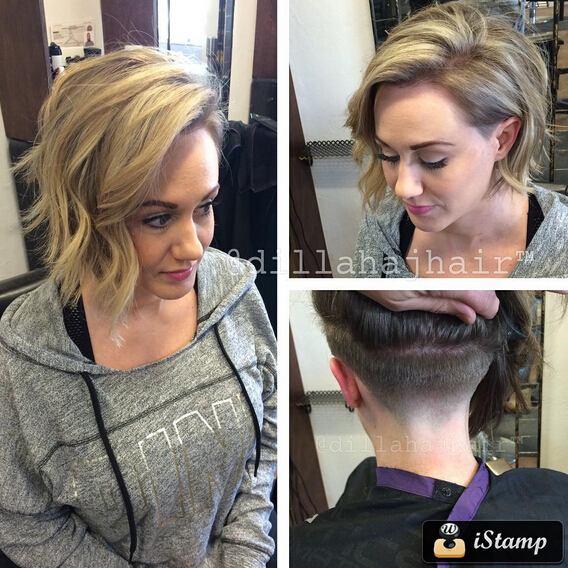 Layers can give extra dimensions and textures to a short hairstyle. And you can emphasize the soft lines by undercutting your hair of the lower part. 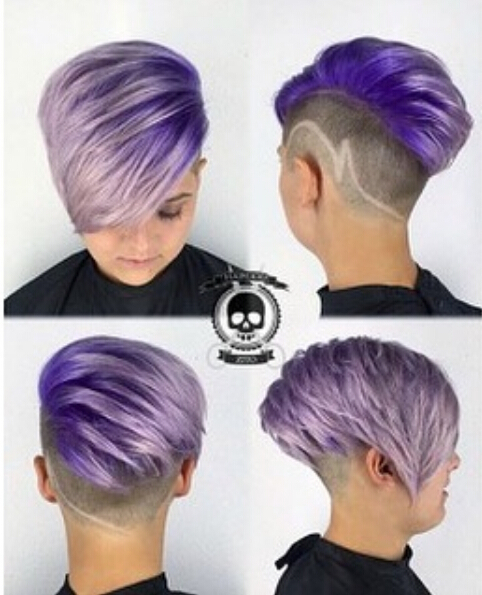 It is great way to compliment the cool undercut style with a dark purple color. The unique pattern shaped on the side also draws much attention for this colored hairstyle. 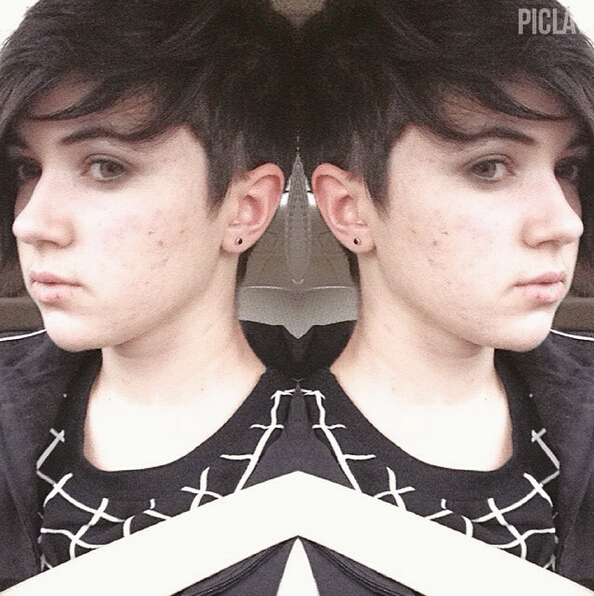 The short undercut hairstyle can look very flattering for girls. With subtle fringe at the font, it will work perfect for any face shape. 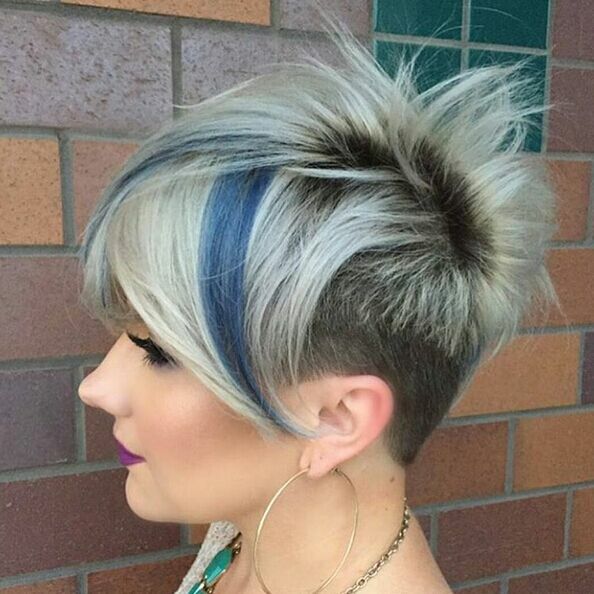 This short spikey hairstyle really impressed us with its striking blue color. It is styled in the long fringe and around her slim face. 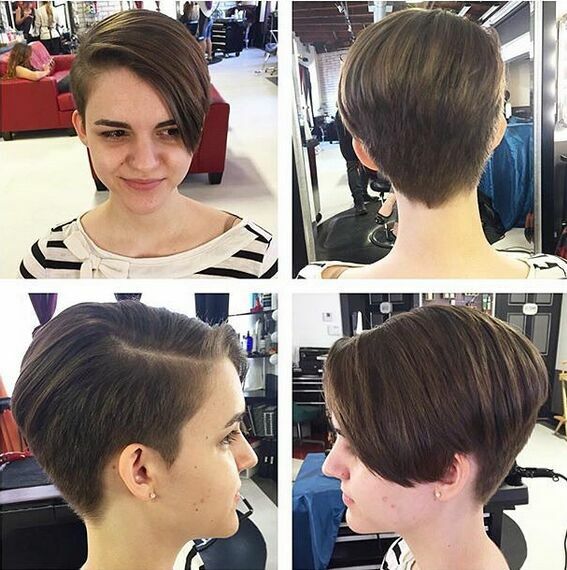 This season’s trend is all about asymmetry designs of the haircut for women. 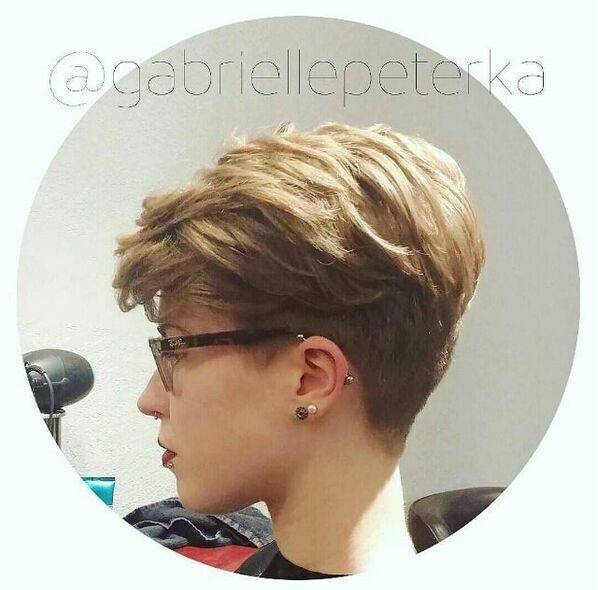 The one side undercut can make a special and unique style for your short hair. The short curly hairdo can really bring us a glamorous retro look. You can enhance the style with black mascara and blood-red lips. 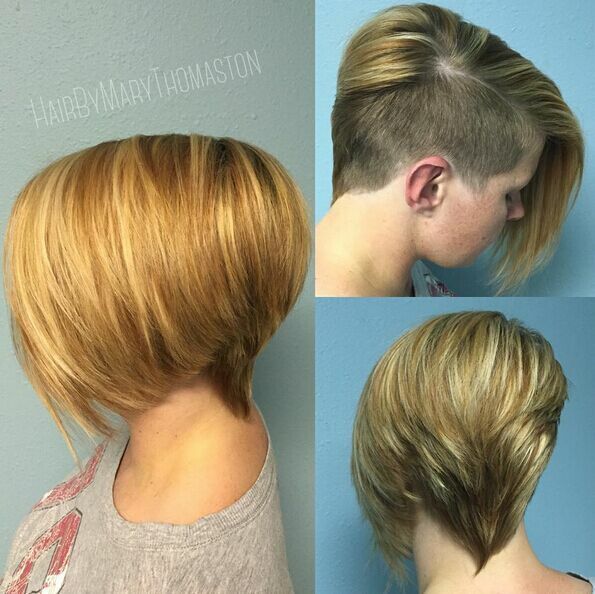 This short bob hairstyle is featured with a round cut and face-framing bangs. It looks very attractive and shinny on her straight, fine hair. 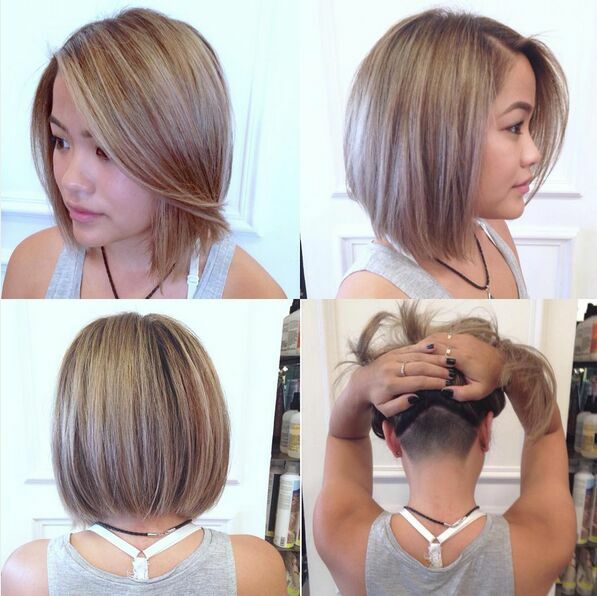 Do you want to spice up your short pixie hair? 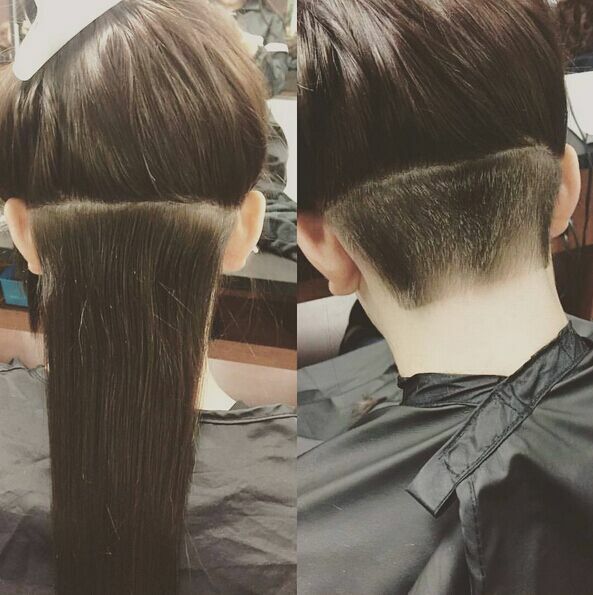 One trendy way is to give it the latest undercut design and you can style it on the side or back as you like. 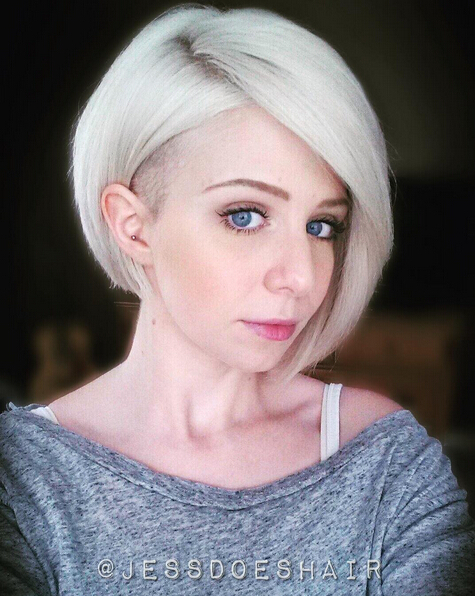 The grown-out pixie haircut has become one popular choice for women this year. And it looks very feminine and mature on dark brown hair. 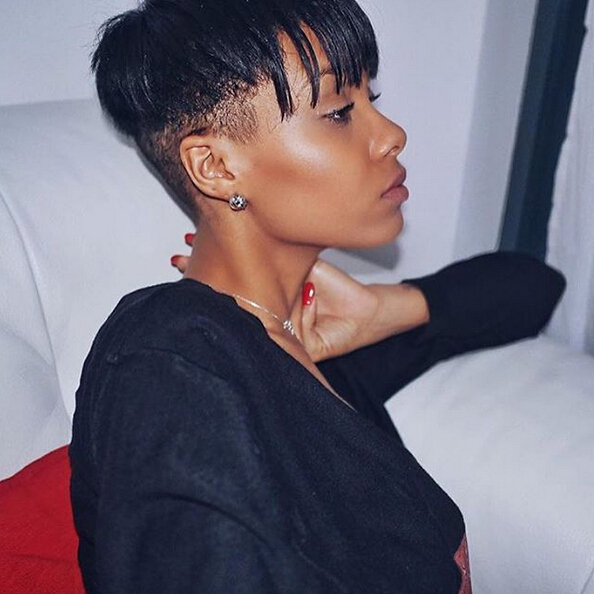 There are a lot of hairstyles that will look fabulous on black women, including the cool undercut. The closely cropped hair can expose their dark colored skin in a great way. 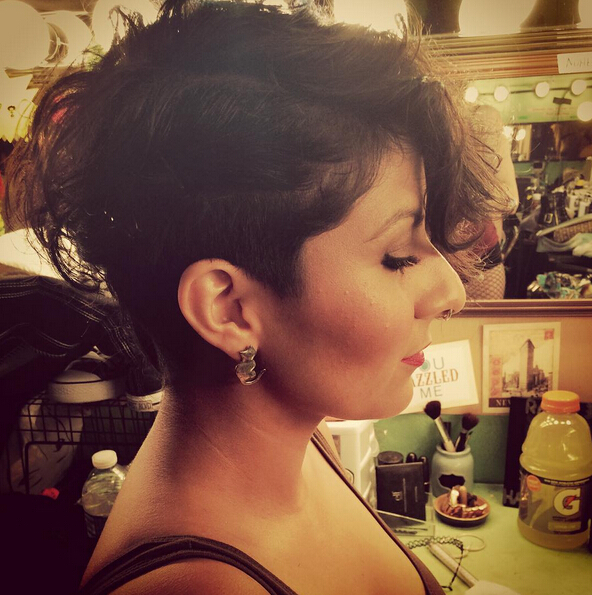 This short wavy hairstyle looks totally on-trend with the fabulous undercut design. It is great to create an office look for its modest color and style. 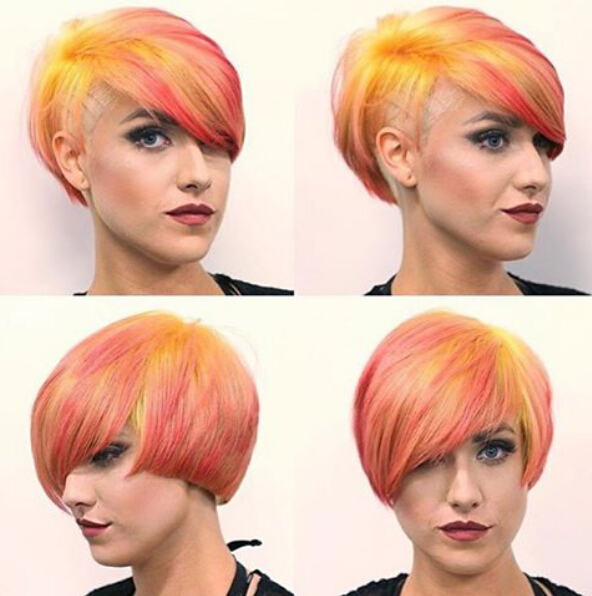 You will look very eye-catching with this rainbow colored short hairstyle on street. It is designed with straight lines at the side and side swept bangs for a subtle feminine sense. 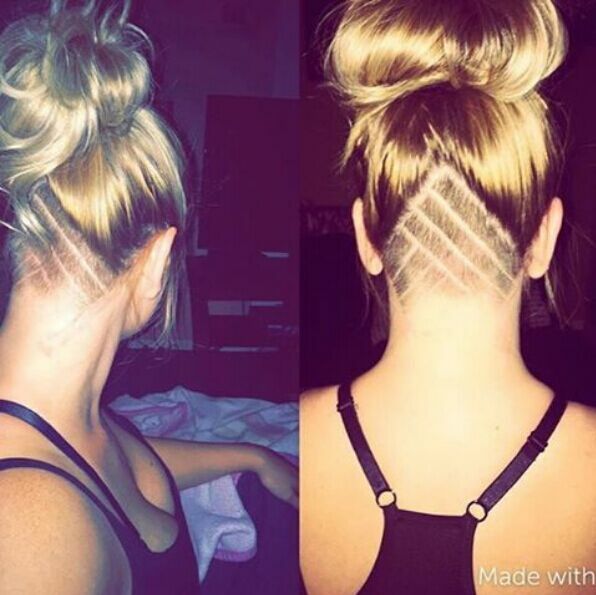 The undercut style can create a dramatic look on long straight hair. But it will be easily hidden with the long tresses falling down naturally. 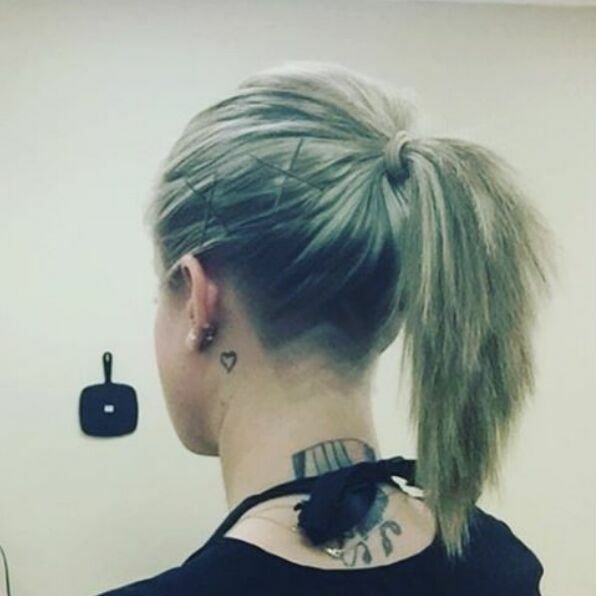 This is a completely edgy but flattering hairstyle with one side shaved above the ear whilst leaving the rest of hair dropping gorgeously on the other side. 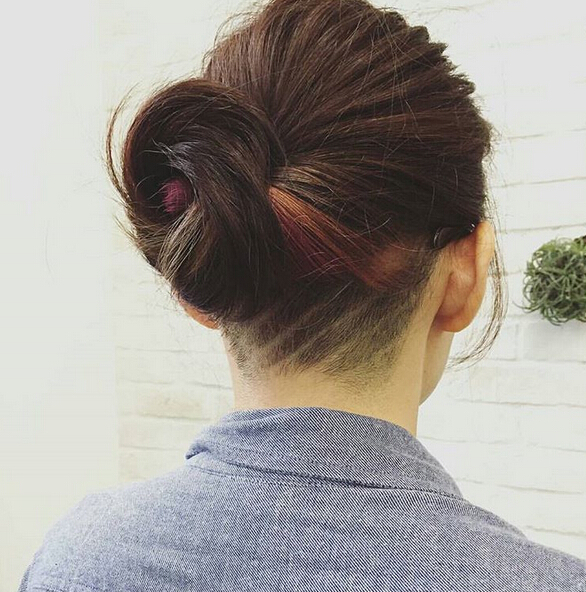 The cool undercut hairstyle works fantastic on round face shape. The bulk layers above the shaved part can give extra length and a slimmer look to the face. It is cool to add interesting undercutting details to the ponytail hairstyle. 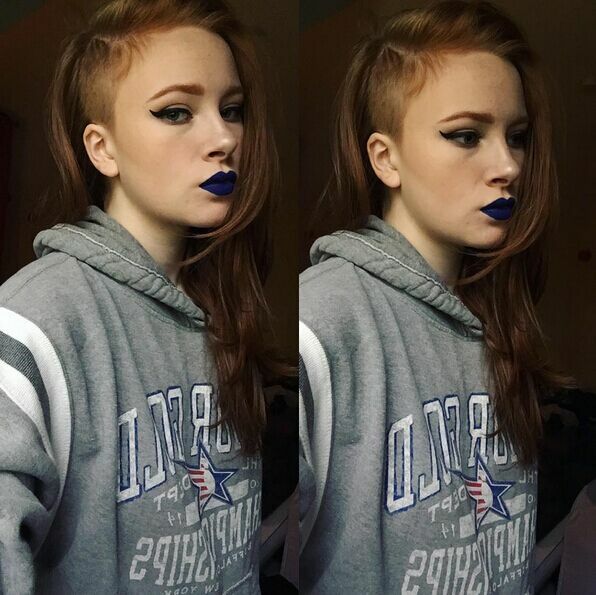 They matched very well with the tapered cut ends. The edgy undercut part above the neck has made a big contrast with the twisted strands, especially to the metallic copper streak. This medium hairstyle looks very impressive and is styled on sleek straight hair. The long side bangs creates a flattering face-framing shape for the whole style. This updo hairstyle is being totally original with the fishnet undercut design at the back. Then you’ll have more options to create your very own style.